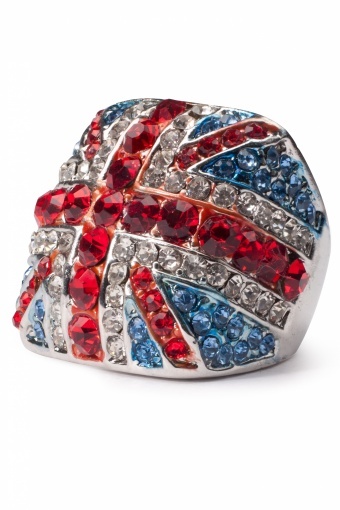 80s Lucious Strass Union Jack silver ring. 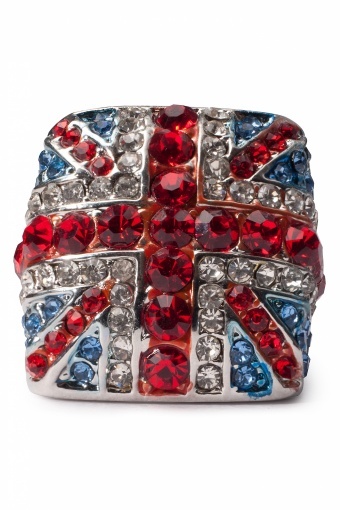 Soooo cool this ring shaped as the Union Jack. The bright silver tone contrasts nicely on your skin. 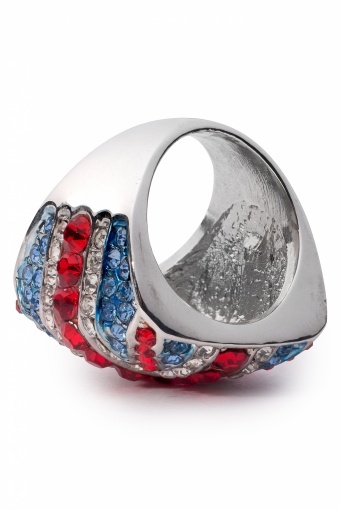 The colours of the flag are decorated with shiny rhinestones all over. Very special.